Are you obsessed with Pinterest like we are? 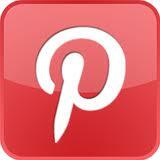 If you haven’t checked out Pinterest yet, it’s an awesome pinboard site, much like an online bulletin board. Instead of “bookmarking” saved images, or saving them to your desktop, you have a page with categories to save your favorite images. You can make categories such as: jewelry you want to buy, recipes you like, or places you want to travel to! Give it a try, if you haven’t already! Be careful, it’s very addicting! Follow us on our Pinterest page for the latest jewelry, and items from our sister stores! See our top 5 picks below! 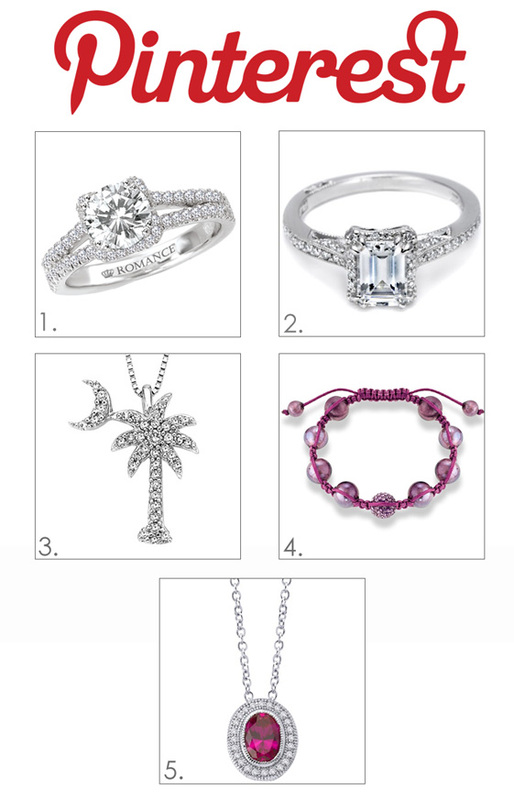 These are the top 5 picks, of our items! 1. Romance Diamond Wedding Ring – 32 repins! 2. Tacori Emerald Platinum Diamond Ring – 25 repins! 3. Palmetto Tree Diamond Necklace – 18 repins! 4. Pink and Crystal Shamballa Bracelet – 13 repins! This entry was posted in Jewelry, Jewelry Trends and tagged jewelry pinterest, pinned items, pinterest, repins, top pins. Bookmark the permalink.